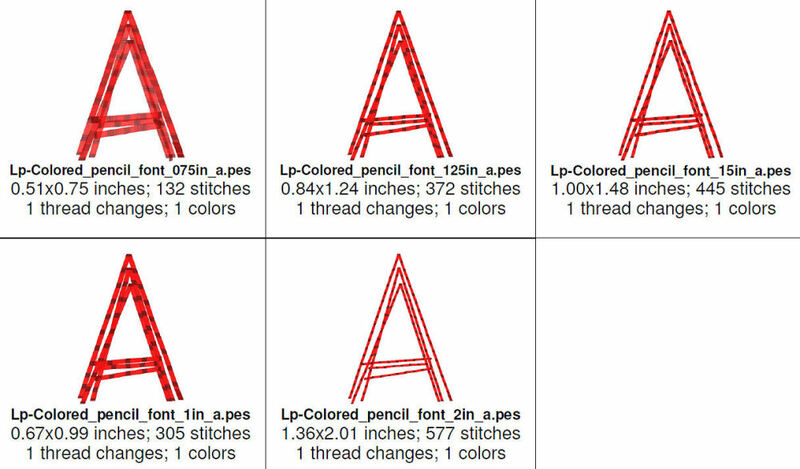 Quick Stitch Colored Pencil Sketch Triple Run Embroidery Font - 5 Sizes! This quick stitching font is an easy and adorable stitch out! Perfect to use with our ColorWork & Sketch Designs, each sold separately! Includes uppercase, lowercase and punctuation. See photos for general sizes. This quick stitching font is an easy and adorable stitch out! Perfect to use with our ColorWork & Sketch Designs, each sold separately! Includes uppercase, lowercase and punctuation. See photos for general sizes.